Empanadas are similar to dumplings, they have an of pork vegetable stuffing and are baked on a baking tray or fried. 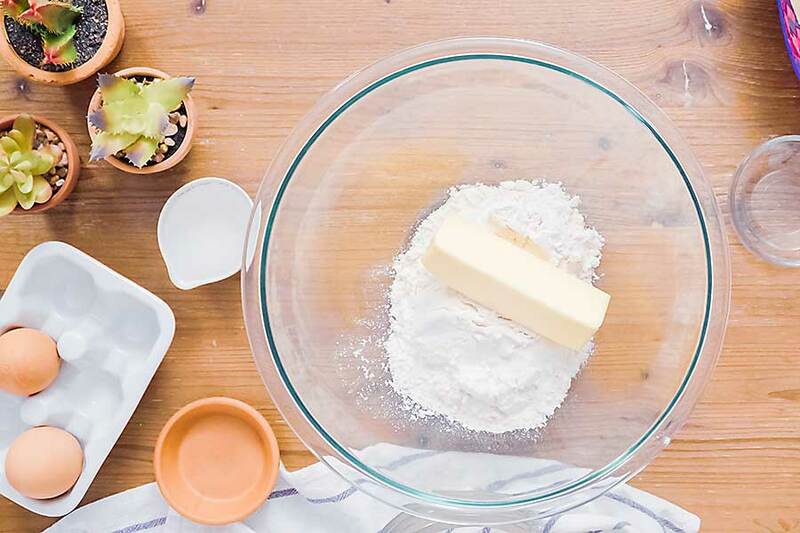 Very often they are made from a cake similar to French or simply from a shortcrust pastry. 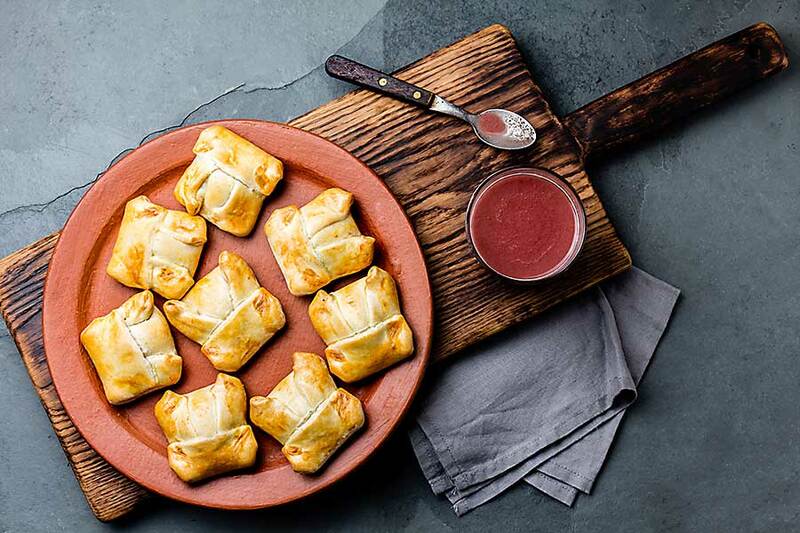 Empanadas are often crescent-shaped, but the traditional rule is that they should have the shape of square pillows. There are also smaller versions with a half-moon shape, known as empanadillas. 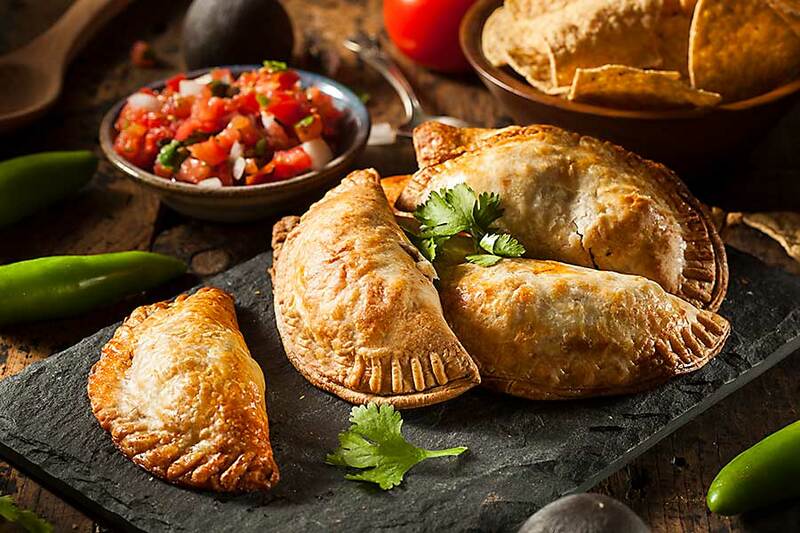 The basic recipe for empanadas contains minced meat and vegetables such as peppers, onions and garlic, but there are also versions with seafood (eg shrimps) or tuna. In each country and region, empanadas are prepared a little differently. In Argentina, dumplings are stuffed with beef or chicken and often adds raisins. In Chile, they are stuffed with a lot of white onions. In Indonesia, the chefs prepare a spicy tuna or Cakalang fish (Skipjack tuna) stuffing. However, in the Philippines are used potatoes and pork or chicken. Dumplings are actually served in two versions: empanadas is a large dumpling, empanadillas is a description of small dumplings filled with stuffing. Fillings for both sizes can be the same or different. Empanadas can be a snack or a second dish served with a salad. Dumplings are eaten both hot and cold, and in the second version with sauces.